﻿ONLINE REGISTRATION IS NOW CLOSED. Walk-in registration WILL be taken at the door on May 2 at 8:00 am. Kim Klein is an internationally known speaker and author, renowned for her ability to deliver information in a practical and humorous way. She is the author of five books on fundraising including the classics, “Reliable Fundraising in Unreliable Times” and “Fundraising for Social Change.” In addition, Kim is advocate for fair tax policy, and believes that the nonprofit sector has a critical role to play in a democratic society. Kim is a lecturer at the School of Social Welfare at the University of California, Berkeley, and serves on the board of the California Association of Nonprofits. 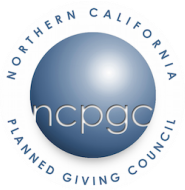 Where is the Sector Headed - And What Does it Mean for Planned Giving? Kay Sprinkel Grace, an articulate trend spotter in the nonprofit sector, is the author of seven books on fundraising and nonprofit boards. Based in San Francisco, she is widely sought as a speaker around the globe. Kay’s recent focus is on the swiftly changing face and fabric of philanthropy, and on generative thinking about where we are headed as a sector and who will be our philanthropic partners in the future. In 2013, Kay received the Henry A. Rosso Award for Lifetime Achievement in Ethical Fundraising from the Lilly Family School of Philanthropy at Indiana University. ﻿Or learn more about the conference by using the links below.